Decorate the children’s room with a print of the magnificent Emperor Penguin and its chick. 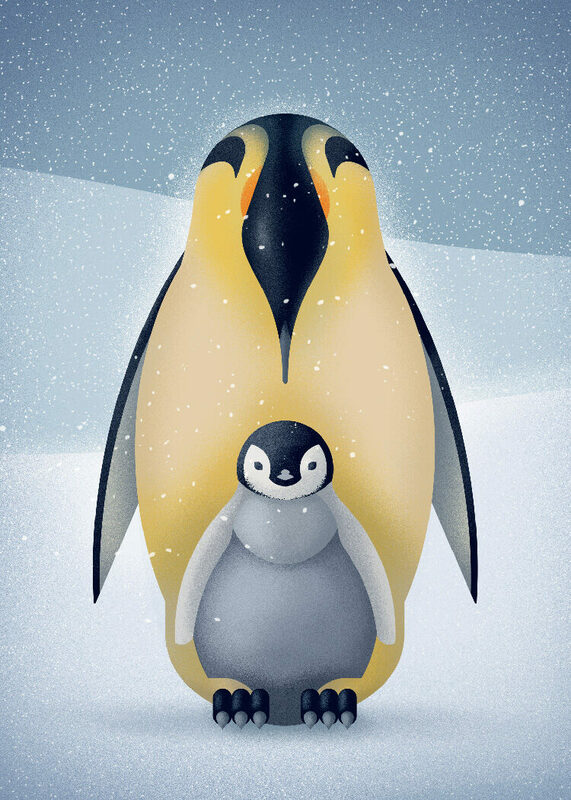 The Emperor Penguin (Aptenodytes forsteri in latin) lives on Antarctica and has adapted to the extremely cold environment, often reaching below -40 degrees Celsius. The little chick keeps warm by balancing on its parent’s feet, nestled in the feathers. The Emperor Penguin is also an exceptional diver. It is the deepest diver of all seabirds, swimming as deep as 500 meters. And now you can have a penguine on your wall. We just love this adorable poster created by our friends at Nature Press.